Saumil Majumdar has a history of creating businesses much before the market for them has evolved. 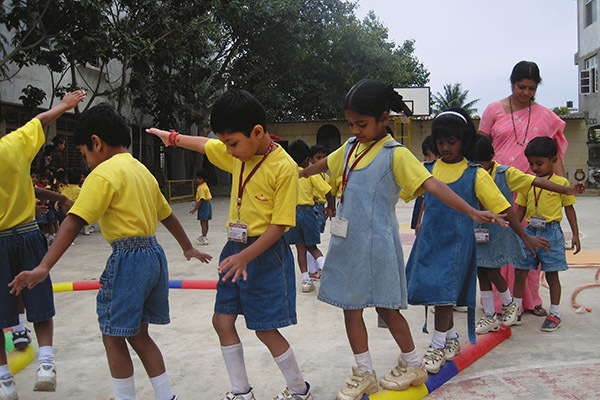 For a while it looked as though the same was the case with EduSports, his idea of providing outsourced recreational activities to schools and parents. He soon realised that the real market for his service lay not in providing opportunities for children to play, but for schools to be shown that sports was just as important a subject as, say, math and physics. His business today provides outsourced sports solutions to over 160,000 students across 250 schools in 70 cities. In return for a monthly fee from each school for each of its students, EduSports takes charge of almost all sports-related activities—from managing the sports curriculum to training instructors to getting children into sports in a safe and structured manner. Seedfund invested in the company in 2010. 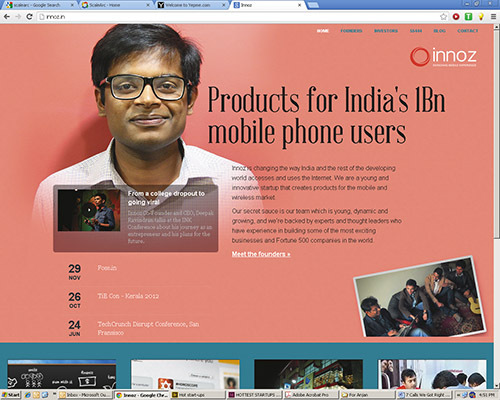 Started by Varun Singh and Uday Sawant, erstwhile colleagues at various Network 18 business units (Network 18 publishes Forbes India, but has no financial interest in the startup), Scalearc was born of their first-hand need for a product that would manage and scale greatly fluctuating website loads across multiple database products from different vendors. iDB, their flagship software, allows websites to seamlessly query, move, scale and optimise their data storage without having to deal with each underlying database individually. In December last year, Scalearc raised $5.3 million in Series ‘B’ funding from Trinity Ventures and existing investor Nexus Venture Partners, which had invested in its Series ‘A’ round as well. Now headquartered in the US, Scalearc is winning customers and accolades in equal measure. 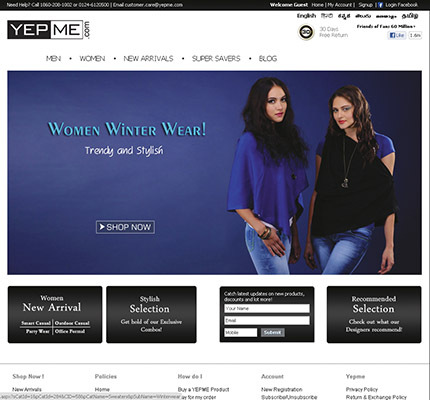 An online-only apparel brand, Yepme is arguably one of the largest in its category today in India. Unlike either existing big-name apparel makers or online apparel sellers, Yepme has focussed on tier-II and tier-III towns where its relatively new and unheard-of brand can still hope to gain the trust of first-time buyers. It sells directly as well as through multiple other online stores, thus expanding its reach. Its investors attest to fantastic order growth, gross margins and revenues—a combination that is a relative rarity in the Indian ecommerce space. Witness Sher Singh, a Yepme competitor, which in November had to sell out to Myntra, the largest online apparel retailer. Yepme has raised two rounds of funding thus far, including a reported $5.9 million second round. Helion Venture Partners invested in both rounds. Mobile advertising firm InMobi started out as mKhoj, an SMS-driven search platform in 2007 before ‘pivoting’ to its current, and hugely successful, business model. But a year later, a bunch of four friends dropped out from their engineering college in Kerala to stake the same space. The result was SMSGyan, an SMS-driven search tool. Innoz, the company behind the service, today claims 120 million active users and a cumulative query count of one billion. The reason for its success is that SMS, notwithstanding the frequent epitaphs in its honour, is still the most easily and widely accessible tool for those without access to smartphones. More interestingly, it is also quite easily monetisable, meaning Innoz can charge for every search query, a concept that those with PCs and smartphones will scoff at. Early stage investor Seedfund has invested in Innoz. Die-hard e-commerce fans will remember 20North.com, the website through which you could order almost anything listed on Amazon, to India. Of course, the site charged you for its service. Zansaar was floated by 20North’s founders to bring together a highly curated yet expansive set of products in the home décor and gourmet foods space. Spanning from furniture to home improvement to imported foods, the site is a must-go for anyone with an interest in well-designed products. 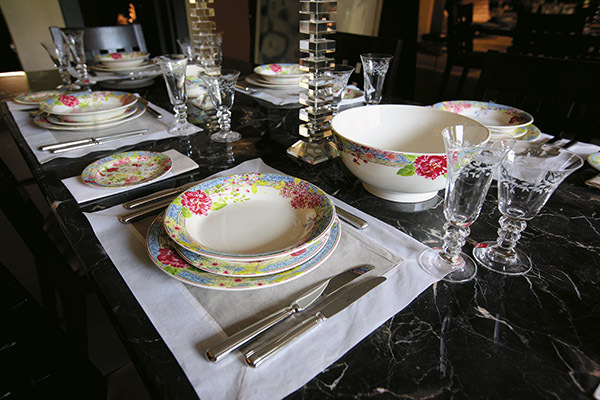 Instead of just listing products under various categories, Zansaar has adopted the global trend of getting its users or staff to ‘curate’ items under topical themes, whether it is a recipe (for which the ingredients can be bought) or a themed-bedroom. Accel Partners and Tiger Global have invested $6 million in the company. Great trials seem to be a necessary preparation for great duties. Thank you very much forbes as you have mentioned Zansaar. E-commerce is such a vast industry with lots of comeptitors, Learning is very important for any startup, I personally like the fact that the staff at zansaar is always keen to learn and enjoy the work. All the best for Zansaar as it has completed 1 year of success in the e commerce industry. Not all can have access to web at any time they wish to,and such a good service for 30rs/month can be affordable by any one(majorly students).If the word of mouth publicity does well,then surely there will be more subscribers in future and more returns too.Apart from this, INNOZ is also entering into apps market that makes more market. Will metro rail systems transform mass transit in urban India?